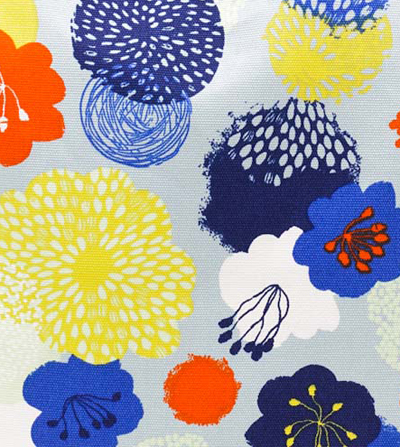 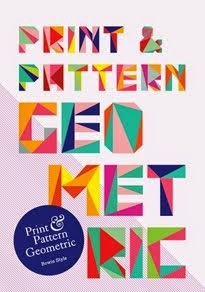 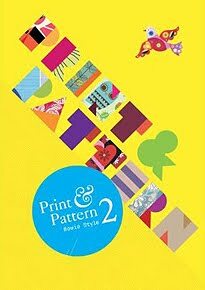 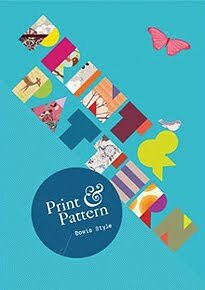 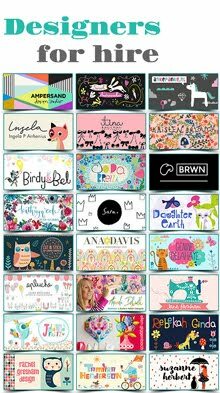 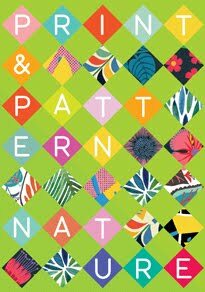 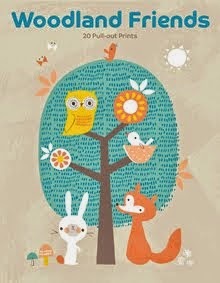 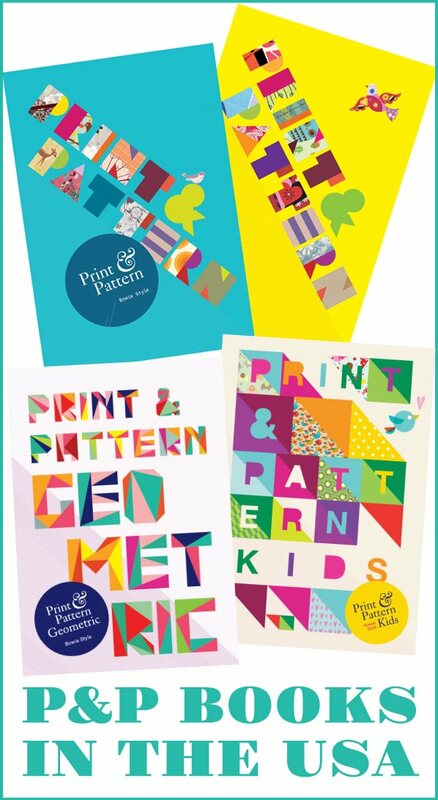 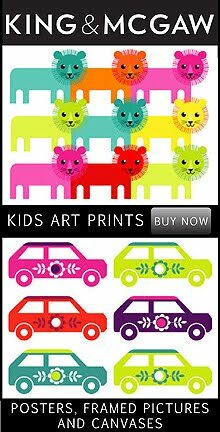 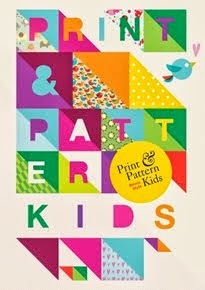 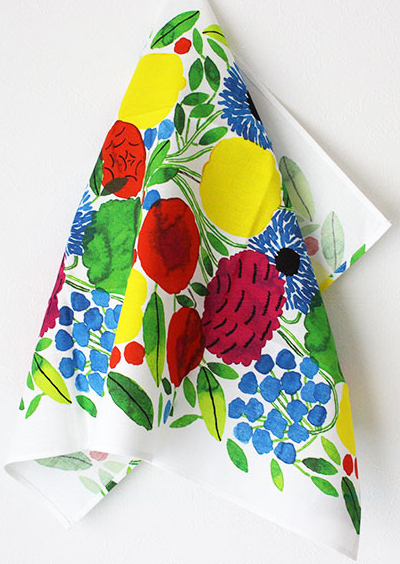 Today I wanted to post a colourful summery print as we experience a heatwave hear in the UK. 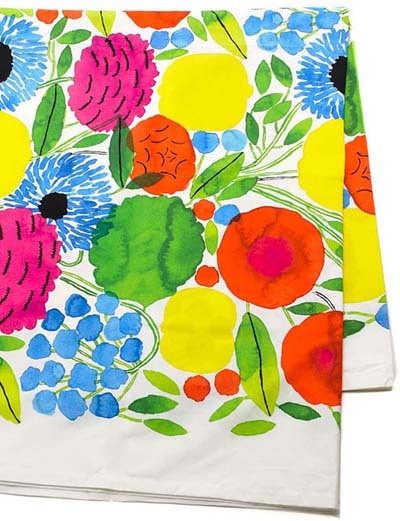 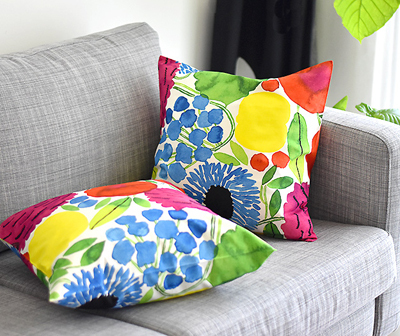 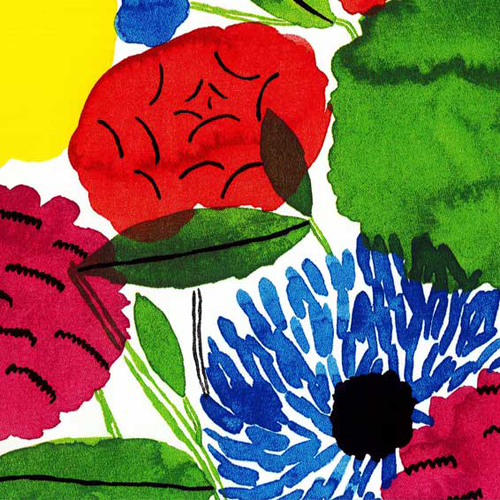 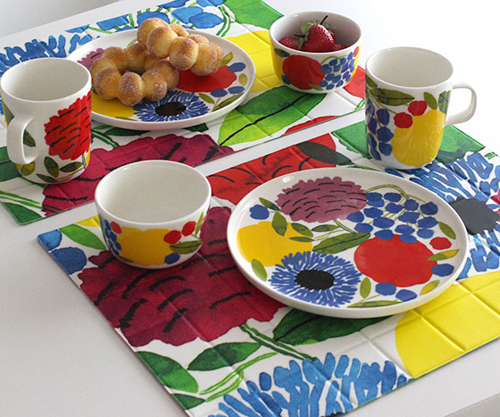 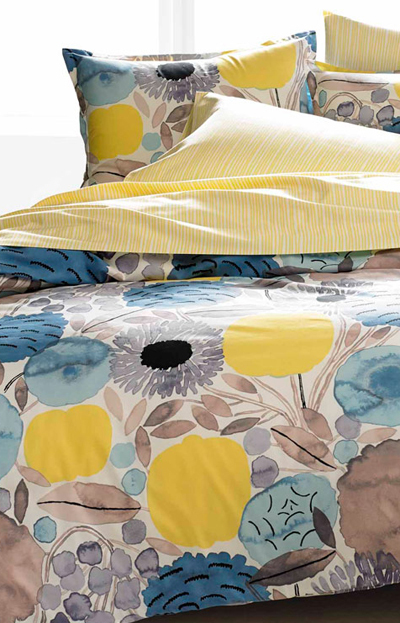 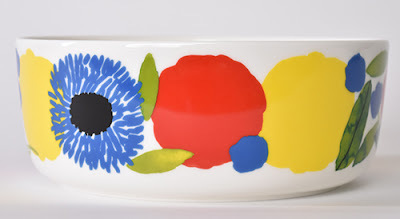 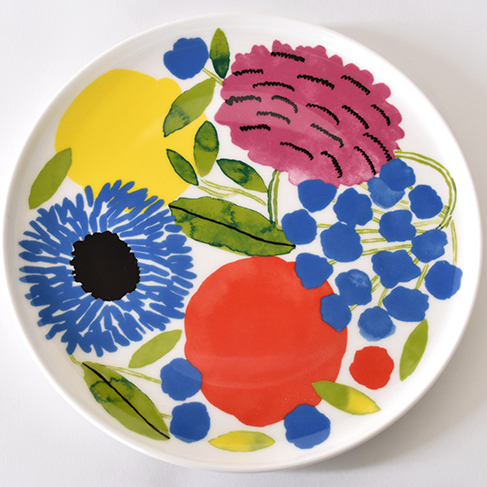 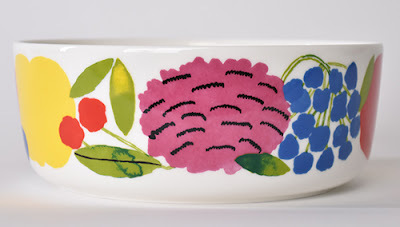 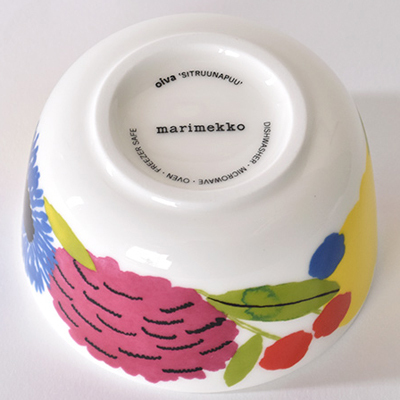 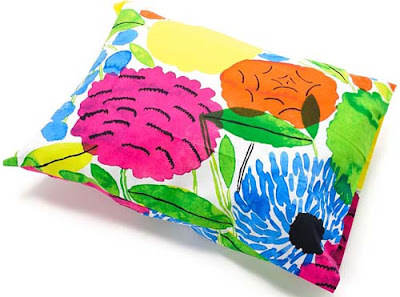 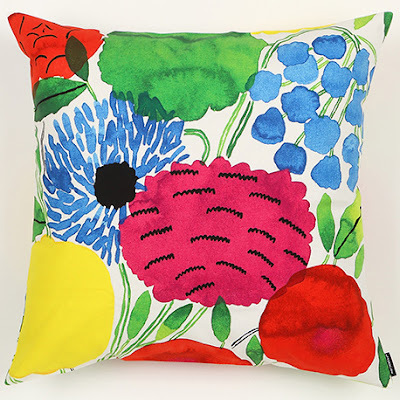 Prints don't come much bolder and more colourful than those at Marimekko where you will currently find Sitruunapuu, which i believe translates from Finnish as Citrus. 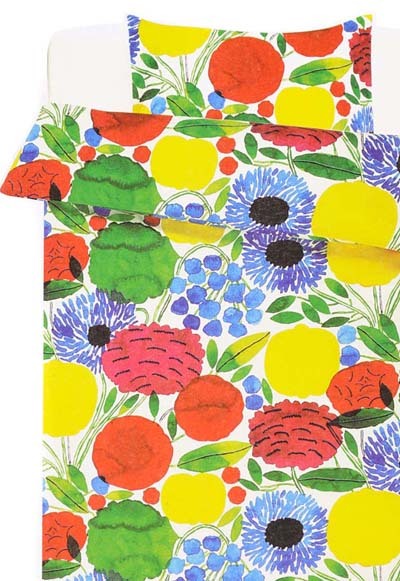 This watercolour pattern was designed by Aino-Maiha Metsola and features on fabrics, ceramics, bedding, kitchen textiles, paper napkins trays an more. 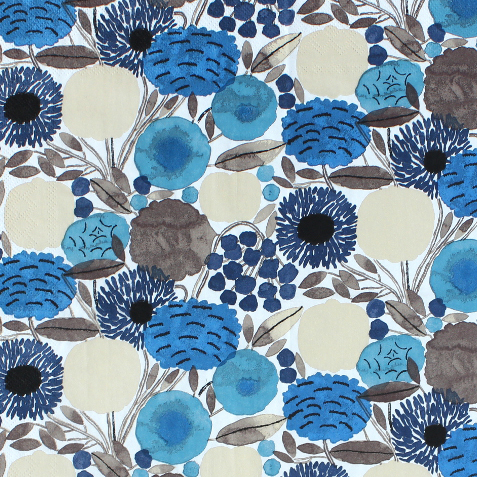 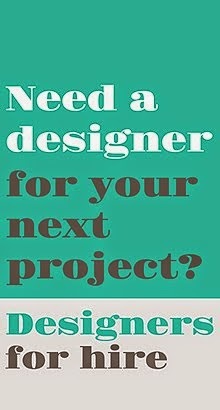 There is also an alternative colourway in more muted tones of blue and grey. 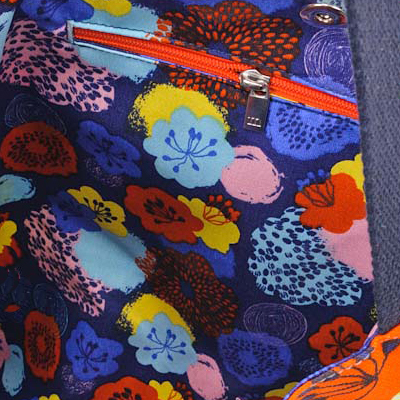 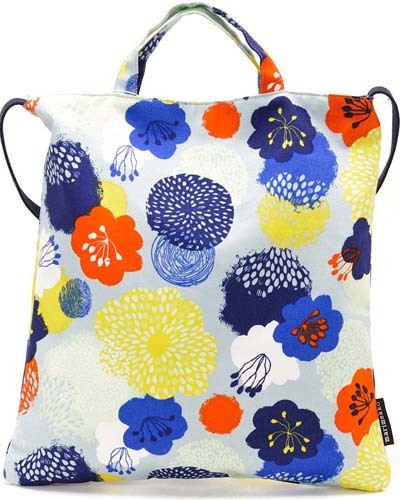 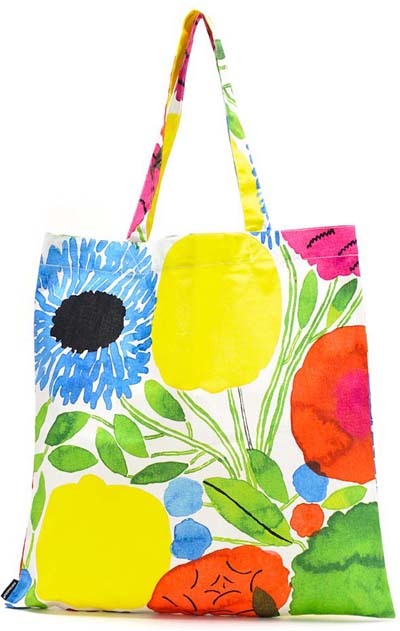 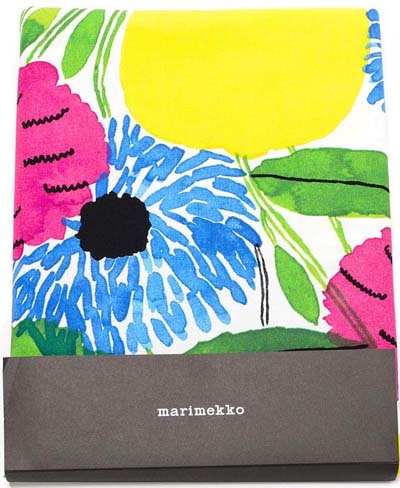 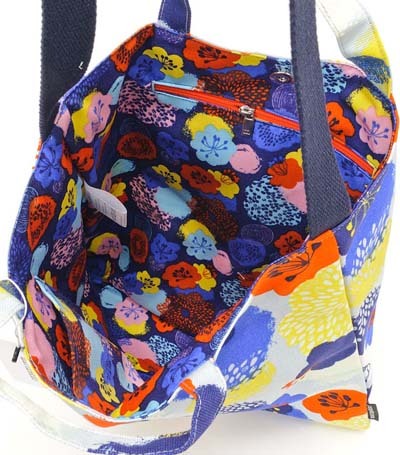 Whilst on the subject of summery Marimekko prints it seemed perfect to also mention Manuela a sketchy floral spotted on a tote bag.